3 Bedrooms | 3.5 Baths | 3,350 sq. ft. The brilliant blend of concrete, poured-in-place board form planters, steel, glass & wood says; This is spectacular! A TRUE MODERN MASTERPIECE. Defined by clean lines, spatial openness & innovative use of timeless materials such as Western Red Cedar, Rift White Oak, polished concrete, steel & glass, this modern marvel is the collaborative realization of its owner’s passionate vision, the brilliant design of architect Chris LeTourneau & masterful development of premier custom home builder Dave Hiebsch of Vincent Builders, Inc. Blocks from downtown Huntington Beach, its famous pier & Pacific City shopping plaza, & mere steps to the ocean, the newly constructed residence encompasses 3,350 square feet with 3 bedrooms & 4.5 baths. A distinctive facade comprised of clear cedar siding & massive floor to ceiling storefront panels & sliding doors, allows sunlight to freely flow through an environment where minimalism & functionality meet earthy continuity. 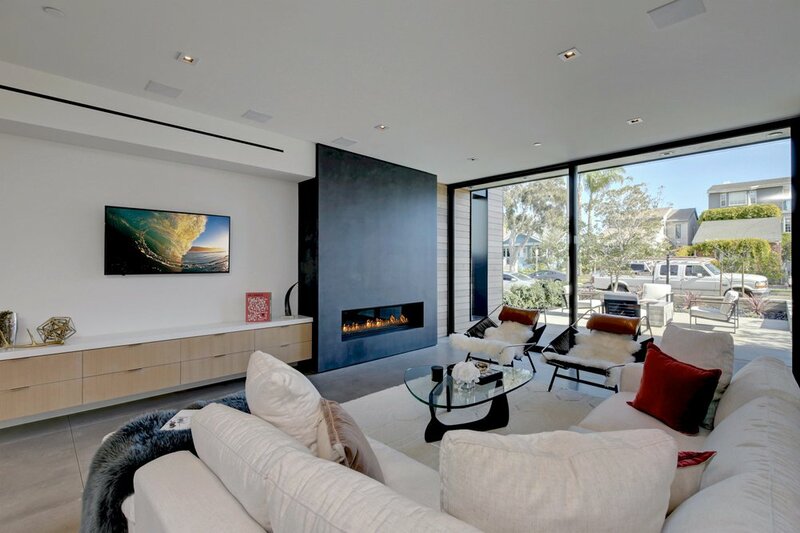 Subtly textured stucco walls accentuate the structure’s crisp lines, while an open chef’s kitchen with waterfall counter-tops, dramatic living area with fireplace, & dining space effortlessly transition to a front patio ideal for extended entertaining. One guest room & the master suite boast private decks, while the 3rd-floor entertainment room & rooftop offer sweeping views of Saddleback Mountain to LA. 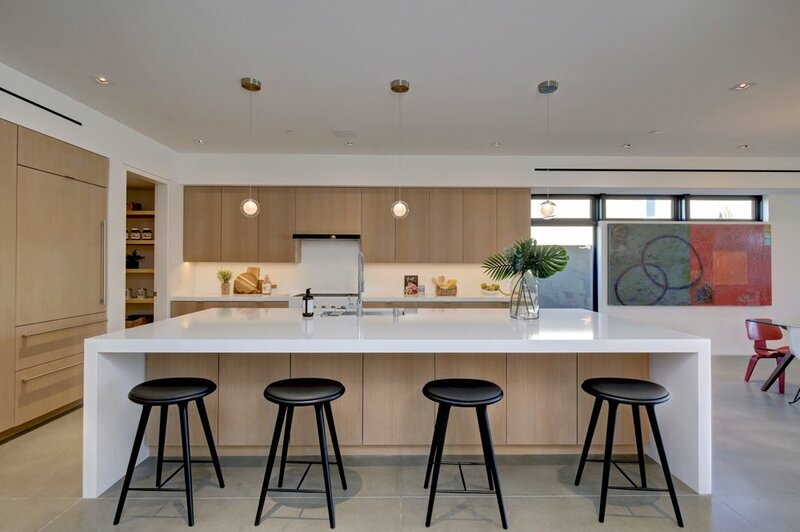 Among countless home innovations is a Lutron-controlled lighting scheme integrated with a centralized Control 4 whole-home audiovisual system, allowing touch of the button control from anywhere at any time. 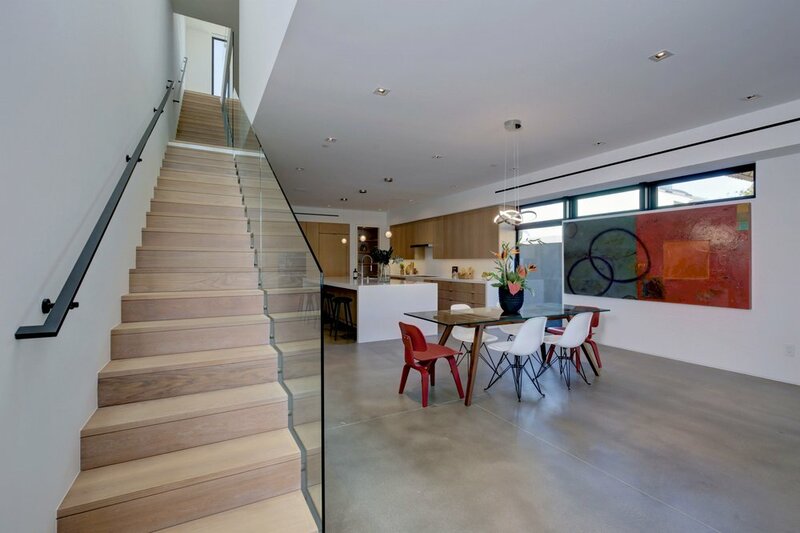 Masterfully crafted, this home truly epitomizes coastal contemporary ingenuity.